Dundee manager Jim McIntyre knows his side will need a minor miracle to survive in the Ladbrokes Premiership following Saturday’s 2-0 defeat at St Johnstone. St Johnstone boss Tommy Wright is taking no notice of this season’s positive results against struggling Dundee ahead of their latest clash. Dundee manager Jim McIntyre insists he can steer his Dens Park side to Ladbrokes Premiership safety. 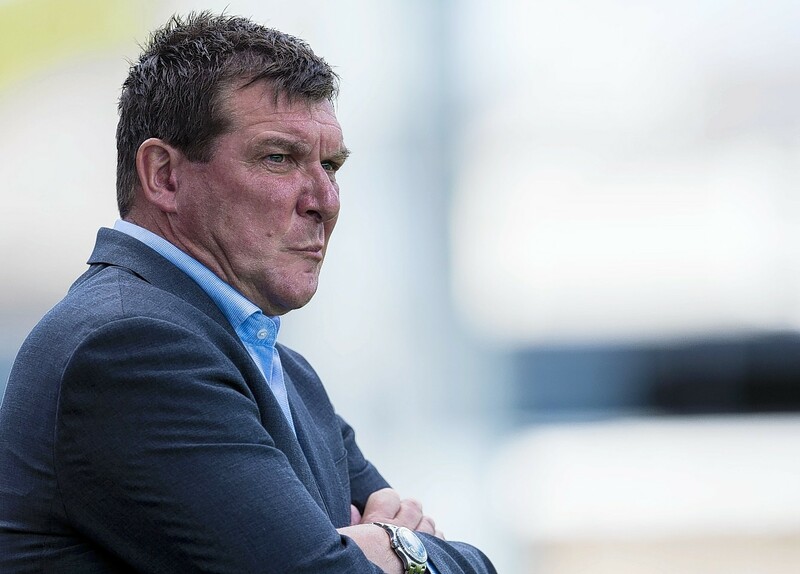 St Johnstone boss Tommy Wright questioned the desire of his players after their top-six ambitions ended with a 3-0 defeat to Motherwell in the Ladbrokes Premiership. St Johnstone boss Tommy Wright highlighted the benefits of a welcome midweek victory as he prepared for Saturday’s Ladbrokes Premiership clash with Motherwell at Fir Park. St Johnstone manager Tommy Wright praised striker Chris Kane as his first-half goal defeated St Mirren to earn his side their first victory in 10 matches. Tommy Wright wants his St Johnstone side to reignite their top-six bid against Ladbrokes Premiership basement boys St Mirren on Saturday. St Johnstone manager Tommy Wright insists bad decision making from his players was a key factor in Saturday’s 3-1 defeat at Livingston. St Johnstone manager Tommy Wright believed Florian Kamberi “conned” referee Gavin Duncan to win a penalty which was a “game-changer” in Hibernian’s 2-1 victory. Derek McInnes will hope to persuade captain Graeme Shinnie into extending his stay at Aberdeen after his two-goal salvo at St Johnstone on Saturday. Former Aberdeen forward Duncan Shearer believes St Johnstone’s Tommy Wright would be the ideal replacement should Derek McInnes leave the Dons for Rangers. Former Aberdeen manager Jimmy Calderwood believes St Johnstone's Tommy Wright is the ideal replacement for Derek McInnes. Aberdeen manager Derek McInnes believes Tommy Wright's St Johnstone are genuine contenders to finish best of the rest behind champions-elect Celtic in the Scottish Premiership this season. St Johnstone manager Tommy Wright is having to work overtime to glean information about his side's Europa League opponents Alashkert FC.